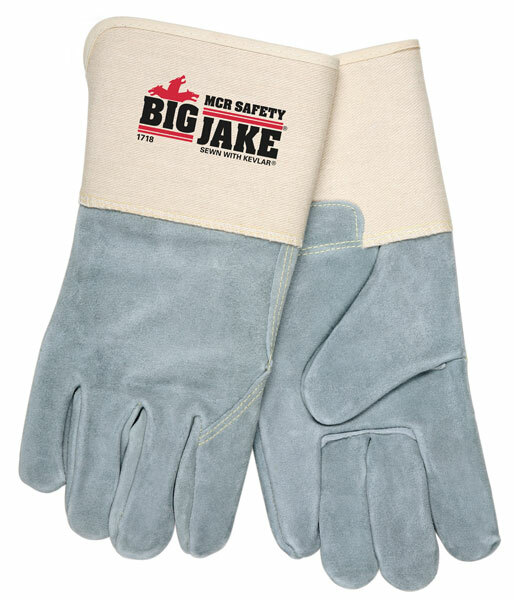 Big Jake® gloves are used in heavy duty and rugged requirements. Made tough for the tough jobs. The 1718 glove features a full leather back for added protection and sewn with super-strong, heat resistant DuPont™ Kevlar® thread for the toughest jobs. It also features an 8 oz. jersey palm lining, 9 oz. cotton canvas back, and a 4.5" rubberized safety cuff. Just Try To Outwork these gloves! (Available in Vending Packaged option - Item VP1718).